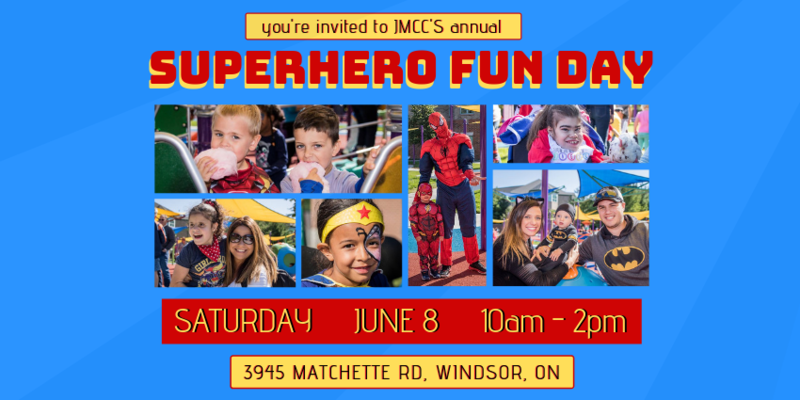 John McGivney Children's Centre - News - JMCC Superhero Fun Day 2019! Join us for food, entertainment & activities for the whole family. Dress up like your favourite hero and enjoy an awesome day of fun for all ages and abilities! 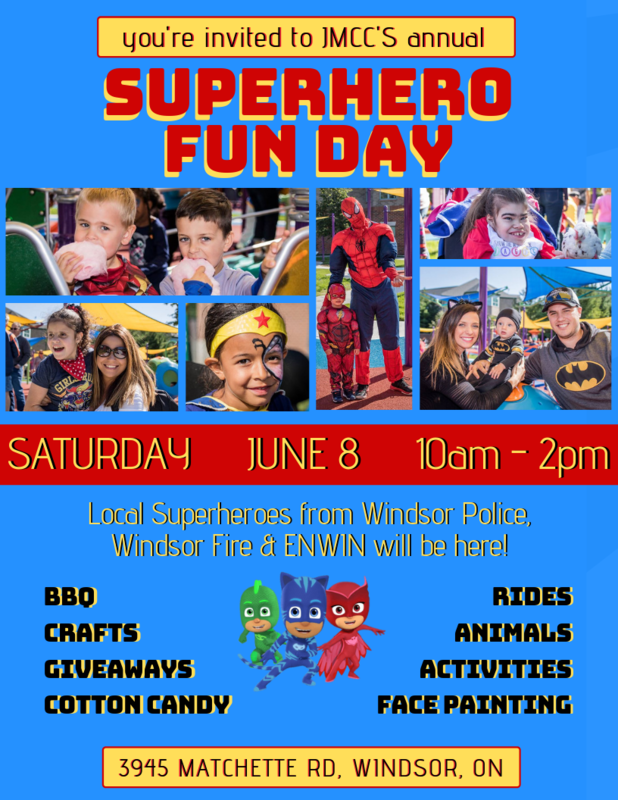 This year, local Superhero guests from Windsor Fire, Windsor Police and ENWIN will be here for kids and families to explore their vehicles, take rides in their lift trucks, check out their gear and more!